At EverLine Coatings and Services, our commercial painters in Toronto are wholly committed to delivering quality results. We are proud to have some of the best staff in the industry. Our Toronto commercial painting crews consist of experienced painters that have been painting commercial applications for years. 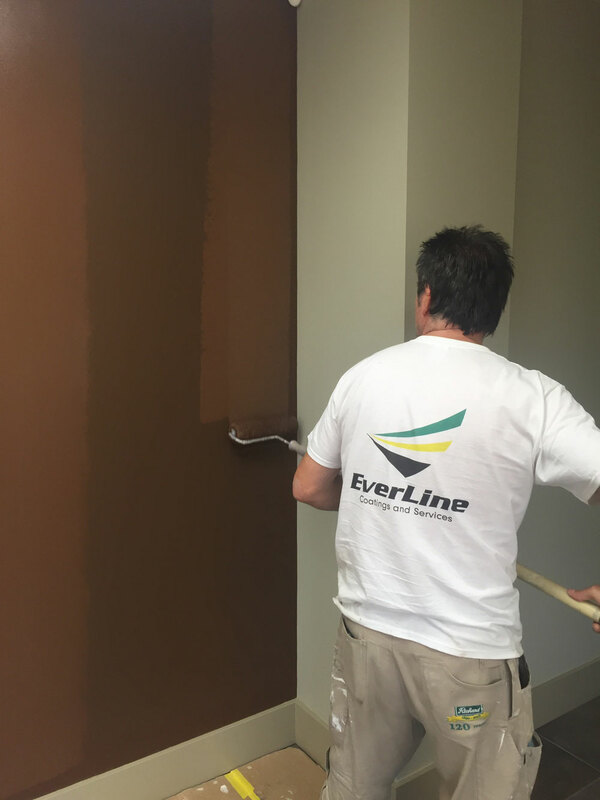 EverLine Coatings and Services always uses the best painting products available so that our well trained and experienced staff can deliver the best quality of work possible. Whether you need a warehouse, office, commercial building, or exterior painting in Toronto, our painters approach every project they undertake with the same accuracy and commitment to delivering quality results. It doesn’t matter if you need interior or exterior painting in Toronto, the EverLine commercial painting crews can complete a project of any scale. Our commercial painters in Toronto will work with you to provide exceptional services and ensure that they fit within your timeline and budget. At Everline Coatings and Services, we have multiple Toronto commercial painting crews so we can provide our commercial painting services without any unnecessary interruptions to your regular business operations. Our Toronto commercial painters can come in when your business operations have finished for the day and complete the project whether it is during the day or at night. Because we employ multiple Toronto professional painters, we can also provide any commercial painting you may need within a short timeline or with short notice. If you need commercial painting services, our Toronto painters at EverLine Coatings and Services can help. If you require commercial painting services in Toronto, the painters at EverLine Coatings and Services can deliver quality results with incredible value. This is because our Toronto painters have years of experience painting commercial applications with all types of commercial and industrial buildings. Our experienced Toronto painters have seen and done it all before in their decades of experience. There isn’t a commercial painting project whether it’s interior or exterior painting in Toronto that they cannot handle. When you choose EverLine for your commercial painting in Toronto, you get the EverLine advantage. This comes from the specialization that our Toronto Painters have. Many other painting companies in Toronto will use the same crews for different kinds of painting projects. When you hire EverLine Coatings and Services for your commercial painting in Toronto, we send a crew that specializes in painting commercial buildings. When our Toronto professional painters arrive to paint your commercial building, you can rest assured that our Toronto commercial painting crews have the needed skills, training and experience to take on your painting project. We provide our teams with the top of the line commercial painting tools, products and train them regularly with the latest application techniques to ensure that they provide the best possible results with every project that they complete. It’s the things like this that make EverLine Coatings and Services one of the premier commercial painting companies in Toronto. To expedite the process and ensure quality results, there are a few steps you can take before our Toronto professional painters arrive. First, please ensure the area that is going to be painted is clear of any obstacles or debris. This will allow our crews to work without any obstructions and complete the project efficiently. Also, please post notices and inform any users, employees or customers that may be in the building that our Toronto commercial painting crews will be working. This will ensure the safety of our crews and that no one comes into contact with wet paint. To ensure that our commercial painting services in Toronto provide as much value as possible, the pricing for each commercial painting project is assessed on a per job basis. No two Toronto commercial painting projects are identical; we do not offer packages as this would not deliver great value for our customers. Because of this, we take the time to know about your business, its needs and how we can provide the best possible value with our commercial painting services in Toronto. When it comes to commercial painting in Toronto, many factors can make a difference in the price of a commercial painting project. Please contact us with some of the details about your business, the project to be completed and the timeline of the project so we can provide you with a free estimate.